Your power grid is getting an education. Northern Wasco County People’s Utility District’s will soon start installing “smart meters” throughout its service district with a goal of complete change-out by the end of 2019. The new meters will be able to send information back and forth along the grid that will help PUD staff more efficiently respond to outages and service changes, manage load and potentially provide new services in the future. PUD’s project team is currently working with Itron, the company that provides the smart grid technology, to make sure the grid interacts properly with the utility’s existing systems. For example, the PUD billing system must be able to communicate with Itron’s system to streamline service changes such as disconnects and reconnects, but the two systems currently use different versions of the same operating software. “The two systems have to be able to talk,” says Paul Titus, Principal Engineer and Strategic Asset Planner for the PUD. Advanced meters will offer many more functions, Paul says, so the team is looking at meter specifications. Customers who have solar panels, for example, both send and receive kilowatt hours of power and the new meters will be better designed to handle that situation. Better insight into the power system itself will be another benefit of the new meters. The meters will send notifications and alerts. An isolated low voltage event at a specific location would generate a notification, while in an outage situation, the meter would send an alert with its last gasp of power. “We’re being notified before you call,” Paul says. In the case of an outage when you are away from home, that means crews may be able to restore power before you return so that blinking clocks may be the only way you know it occurred. Future benefits to the customer could include the opportunity to prepay for power use. In addition, more data on power use will be available. “If the customer has an inquiry about high usage, or usage in general, then we are able to give you a little bit more information than we had before,” Paul says. For example, a spike in power use could be identified as tied to a change in weather or an out-of-town visitor using more power. Such an event might also present a reason to talk to PUD specialists on energy conservation about new windows or an air conditioning or heat pump upgrade that can reduce longterm use. 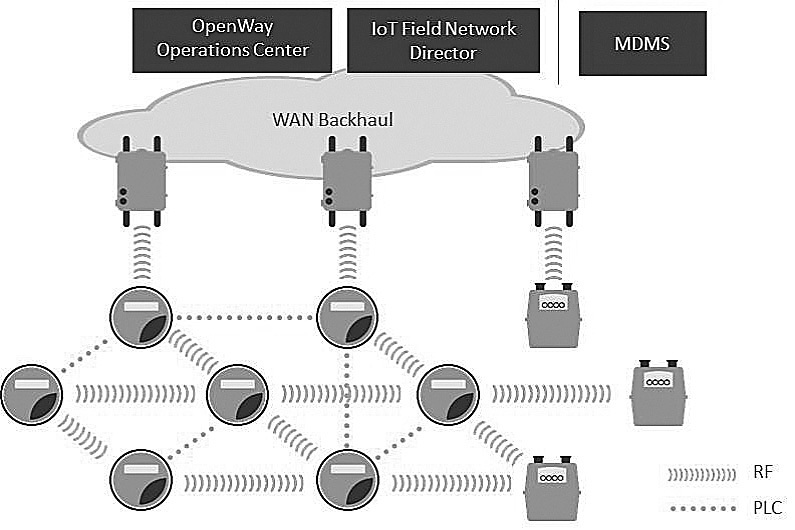 Industrial and commercial customers can get better insight into their power usage, as well. A manufacturer thinking of adding a third shift, for example, would be able to evaluate the cost of power per shift and factor that into their calculations. The advanced meters, which work with one another to create a mesh net-work (see diagram), also provide information that can help PUD staff better manage the utility’s power resources. A conservation voltage reduction is one example. Let’s say a customer is getting 122 volts at the end of the line, but 120 will serve the needs on that line. “In reality, I could drop the setting by two volts at the substation and I just reduced overall power usage to the utility,” Paul says. The new data available can also help drive broader system upgrades and efficiencies, such as identifying whether a transformer is undersized and needs to be changed. Crews will be able to get the proper equipment in the location before the transformer burns out. The smart grid project is on schedule and Paul expects the PUD will receive meters and other hardware from Itron around the end of March or beginning of April. 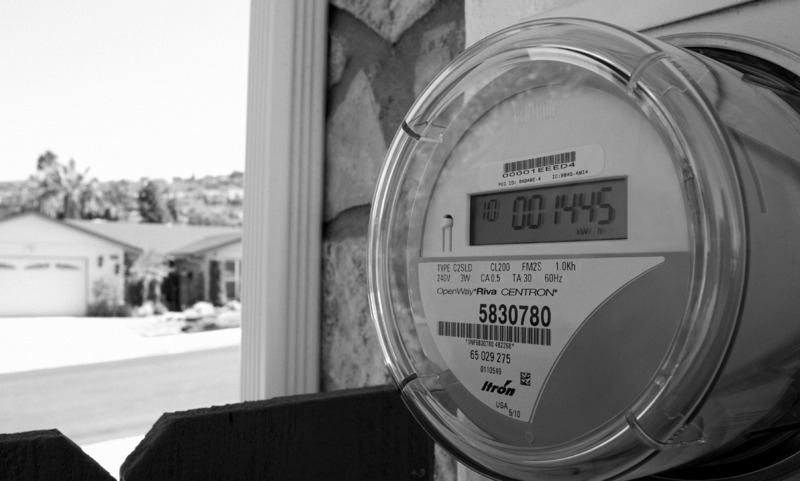 So contractors should begin meter change-outs in the spring. PUD residents should be sure access is available to the replacement crews. While meter readers may only need to get close to the meter to get a reading, meter replacement will require full access.